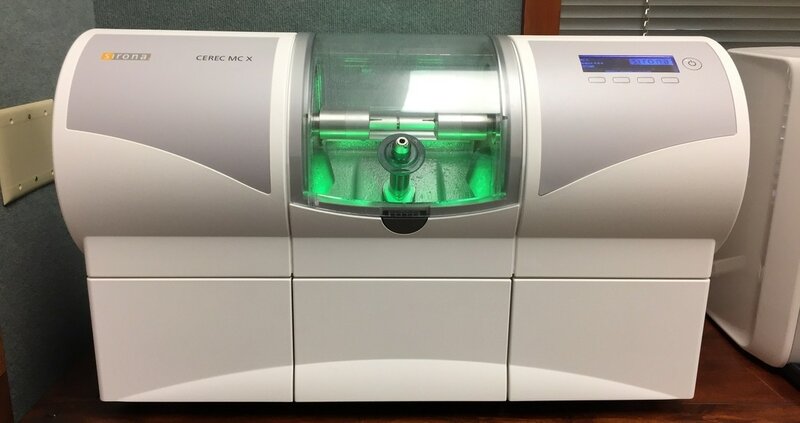 Using our Cerec Omnicam intra oral scanner and the Cerec MC X milling machine, we can make our own dental crowns right here in the office. Same day crowns are the newest development in dental technology and we are so excited to offer this convenience to our patients. For a step by step explanation of how that works,check out the blog post that we wrote last week. 1) The most obvious benefit of same day crowns is that you can walk into the office with a damaged tooth and walk out within two hours with a brand new, custom crown. Before we started offering same day crowns, our patients would need to come in for two separate appointments with two to three weeks between the visits. During the waiting period, you would need to be especially careful of the temporary crown, particularly when flossing or eating certain foods. Sometimes accidents would happen and the temporary crown would come off, meaning another visit (making it three total). ​​But now, there is no second appointment or temporary crown needed for most crowns. When you leave after your first visit, you have the permanent crown and you can eat and floss like it’s your real tooth! 2) One of our favorite parts of the new technology is that if we try on the crown and for any reason the patient doesn’t like it we can simply make another within 20 minutes. If the bite isn’t perfect or the shade isn’t just right it can be fixed quickly. With the traditional method, we would have to work with the dental lab to correct the issue and this would mean at least another week of waiting for the crown and another appointment. We love that same day crowns really mean same day - we can save our patients lots of time by condensing all the visits into just one, which means less days of missing work or trying to find a babysitter for the kids! 3) We have found that the fit of a crown designed with the computer software and milled by our Cerec MC X is incredibly precise. With the traditional method, there were several steps that could produce small amounts of error. Water quality, air humidity, and mixing techniques all affect the model of the teeth that we send to the lab. While we pride ourselves in excellent quality crowns via the traditional method, we can’t deny that a computer scan and digital design greatly reduces the occasional human error. By producing a more precise model, the final product better matches your tooth. A perfect fit also helps the crown last longer, as it prevents bacteria from leaking under the edges of the crown and allows the teeth to bite in a natural way, reducing wear. 4) Our patients have really enjoyed the increased comfort this technology offers. With fewer visits, your teeth are worked on less, reducing post-operative sensitivity that sometimes comes with a long dental visit. Also, some patients feel increased cold sensitivity with a temporary crown. Temporary crowns aren’t needed with same day crowns, so you won’t need to worry about that! During the traditional method, patients often needed to be numb for both the first and second appointments. Now that there is only one appointment, there is only the need to get numb one time. We know that many of you would prefer getting numb once over twice! We hope that you find this all as exciting as we do. The benefits of in-office crowns are amazing and we would love to share more with you. Next time you are in the office feel free to ask us to show you the new equipment. 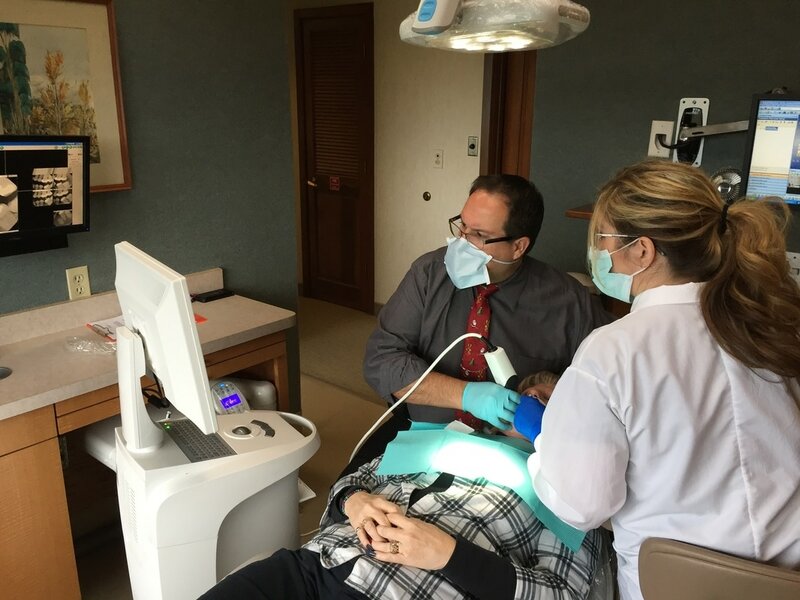 As always, give us a call regarding your dental needs, we would love to offer you high quality care, from people who care, using this cutting edge technology!